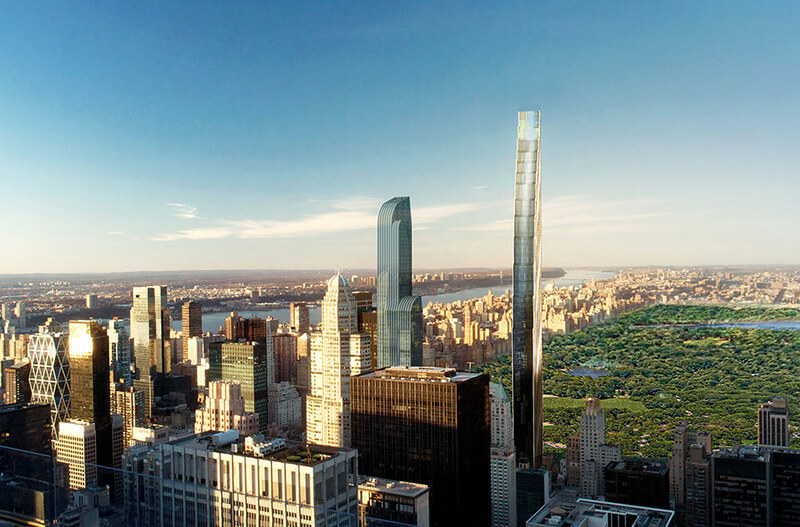 Manhattan’s 57th Street continues its ascent as New York City’s new gold coast with a skinny skyscraper unveiled by SHoP Architects and JDS Development today. SHoP most recently celebrated the groundbreaking of another skyscraper for JDS along the East River, but has now been tapped to build a lean, luxury high-rise on West 57th Street that could climb to a whopping 1,350 feet tall. If built, the condo tower would stand 100 feet taller than the Empire State Building. The Wall Street Journal reported that while developers JDS Development and Property Markets Group will not comment on whether financing has been secured, they have already presented plans to the Landmarks Preservation Commission. 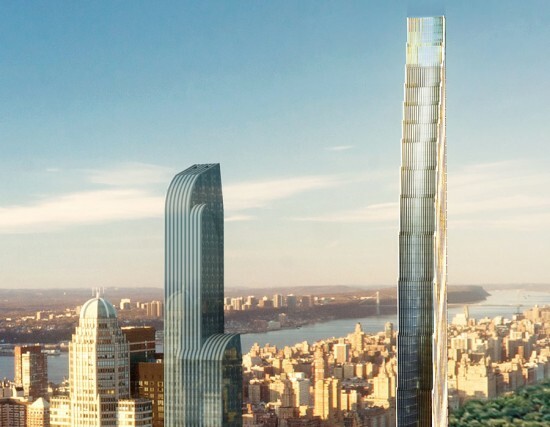 Stepping back from the street as it rises, the quarter-mile-high skyscraper will emulate steps and be clad in bronze-and-white terra-cotta stripes. SHoP partner, Vishaan Chakrabarti, told the WSJ the materials would create an effect that “sparkles during the day and has a soft glow at night.” The developers were able to add height to the building by purchasing air rights from other properties in the vicinity. Elsewhere on 57th Street, BIG is building a pyramidal “court-scraper,” Raphael Viñoly has designed the 1,380-foot-tall 432 Park Tower, Christian de Portzamparc’s One57 tower is nearing completion, Cetra Ruddy has designed an ultra-skinny 51 story tower, and SOM’s Roger Duffy is planning a prismatic, 57-story tower. Chicago’s skyscraper experts, Adrian Smith + Gordon Gill, have also been tapped to design a skyscraper near 57th and Broadway, but no design has been released. The developers said they hope to break ground by 2014.